Piano. Debate. Frisbee. Cross-Country. Family. School. Can one high school senior do all these things? And can we capture them all in senior portraits? Absolutely! 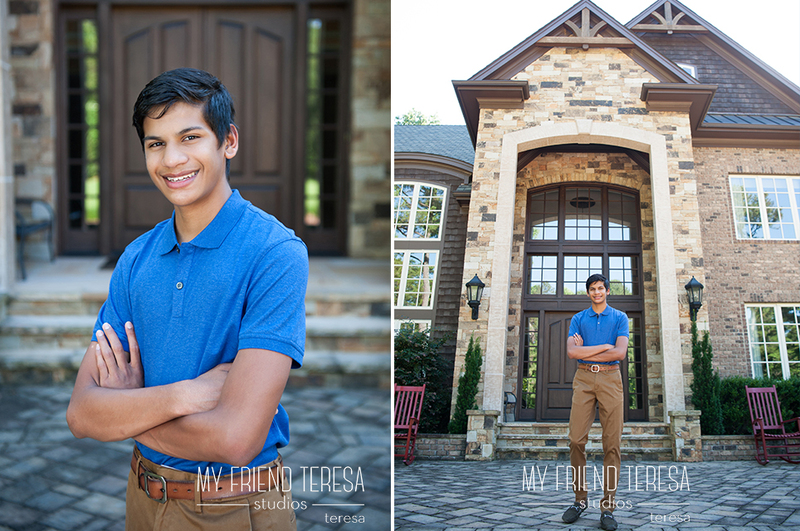 Viraj and his mom joined us during the winter of his junior year (Cary Academy Class of 2019) to plan his senior portraits. We couldn’t wait to get started! 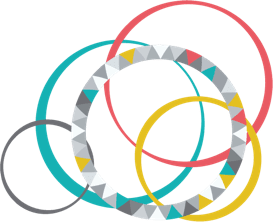 To capture all of Viraj’s interests took several sessions and some expert videography – perfect for our fusion session option. 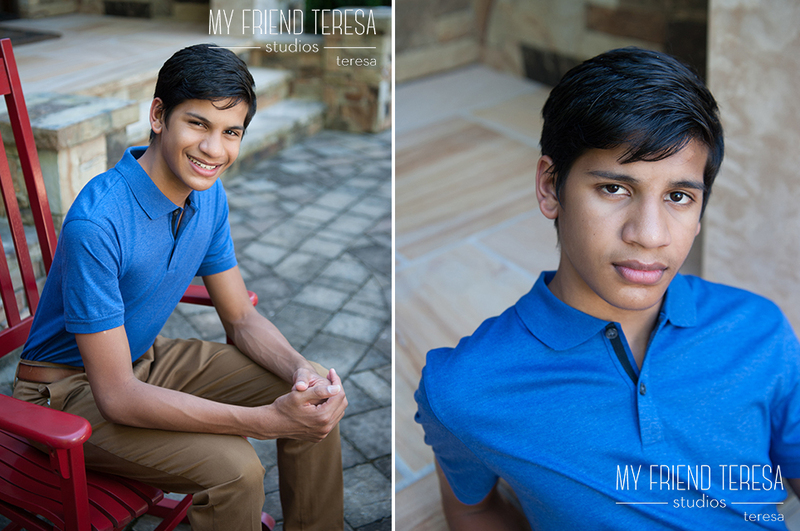 We planned his Senior Portraits and Video session itinerary, and visited his home in the spring for a design and styling meeting. Justin helped Viraj select the perfect outfits from his closet to compliment the session locations. 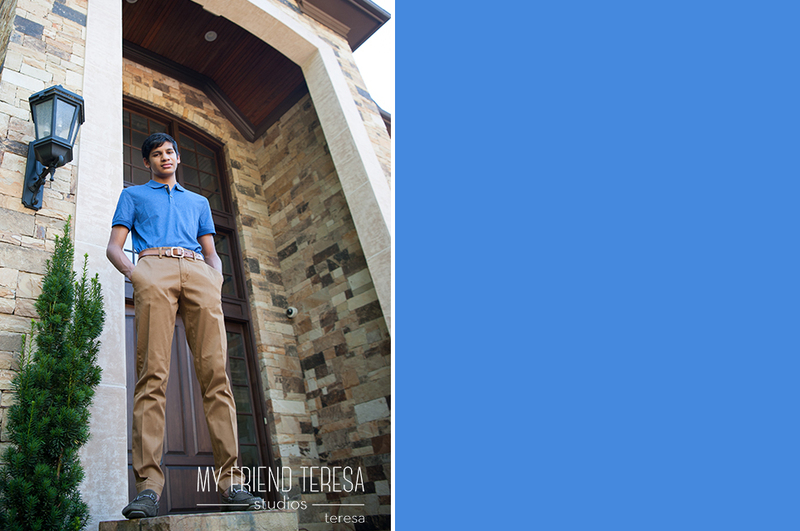 In early summer, Teresa and her team met Viraj one afternoon at his beautiful home for the first part of the session. The large front doors and front garden were a beautiful backdrop. Justin got spectacular drone video of Viraj running on the trails on the family property. Sister Sonia played music on her phone for some fun. A quick change, and the team was ready for cross-county and frisbee portraits! 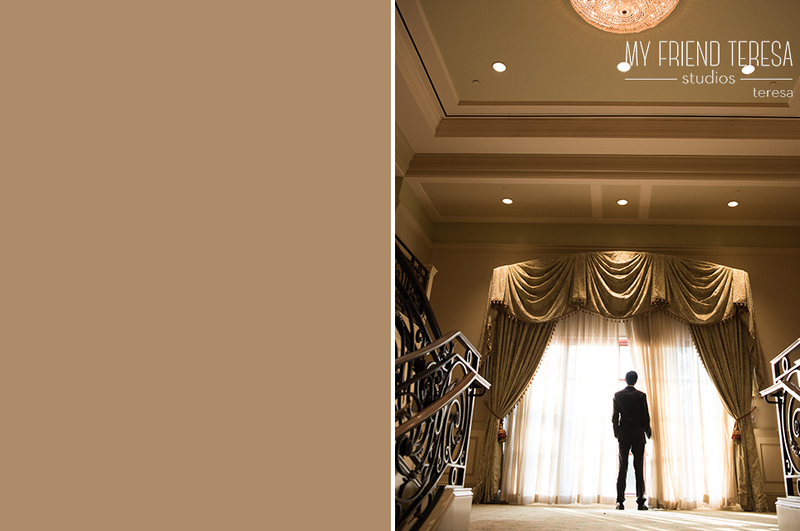 During another session, the beautiful Prestonwood Country Club was the setting for some more formal images. 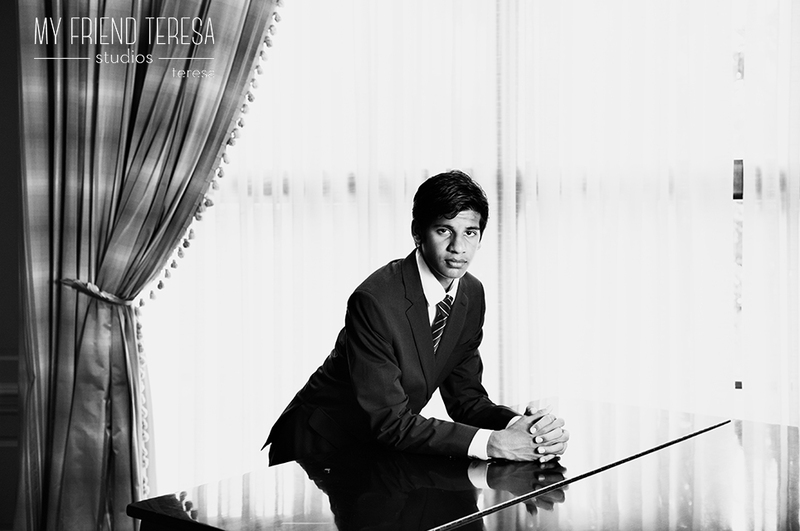 Viraj was dressed to impress and looked ready to debate a business deal. 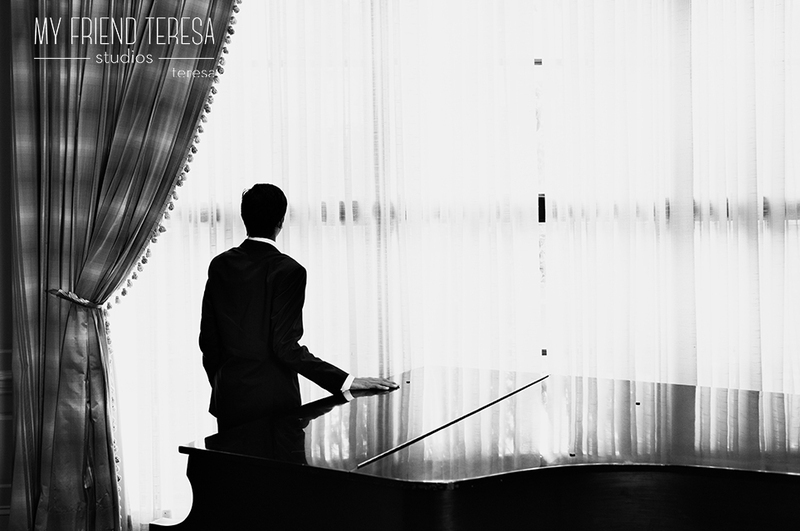 He also played the baby grand piano. A few weeks later the family returned to the studio to see all the results. Teresa selected so many portrait proofs for the family to view that they wouldn’t all fit on our gallery wall! Justin put together a moving video, featuring behind the scenes video and drone footage of Viraj on the cross-country trails. Viraj chose his yearbook images. Mom chose portraits for framed prints to match some of sister Sonia that we did previously. In the end, the digital files and video captured all of Viraj’s interests and the family chose to purchase them to remember this special time. 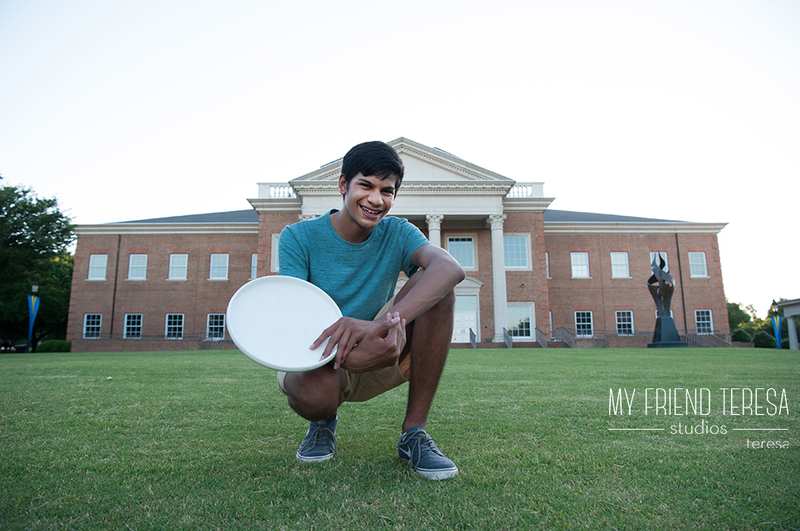 We added the finishing touches and delivered them to the family as Viraj’s senior year was getting into full swing. 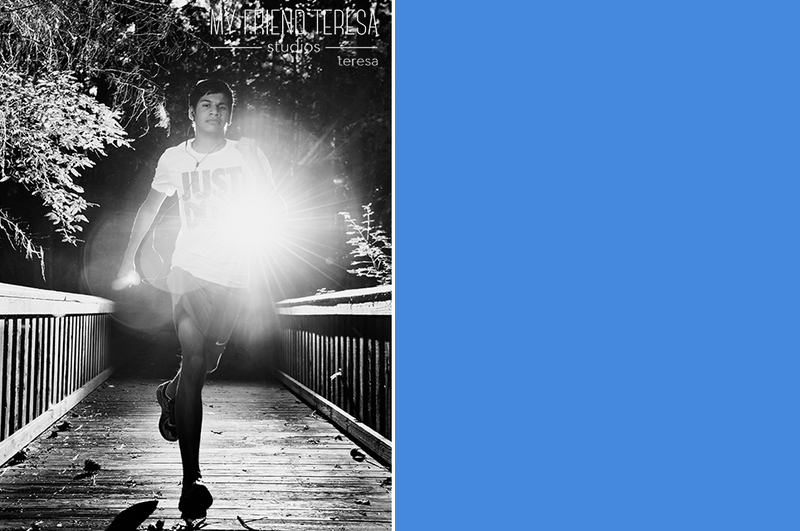 We enjoyed the challenge of capturing Viraj’s Senior Portraits and Video and wish him well as he runs, plays, and debates his way to a bright future!